Published by Gostwick Press for the Willington Local History Group, 2012 and 2014. ISBN 978-0-9565663-3-1 & 978-9565663-2-4. 41 & 44 pages. Otainable from the Willington Local History Group or on sale at St. Lawrence’s Church, Willington, price £4 each. Two well-researched, well-illustrated and readable booklets on the development of Willington. 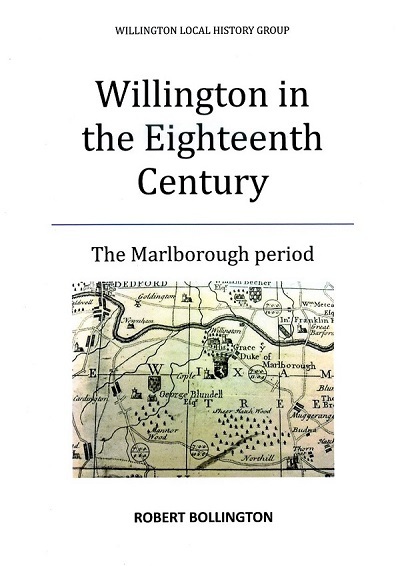 The first - Willington in the Eighteenth Century The Marlborough period – provides an account of Willington during the mid-18th century, when it belonged to the Duke of Marlborough. It presents a picture of “a self-reliant farming community, led by a small number of substantial farmers”. There are good insights into local demography anf the administration of parish relief, which should be of wider interest to students of the period. Willington and the Russells concerns the period 1774 to 1902 when the position of lord of the manor was held by successive Dukes of Bedford. Willington’s development mirrors the wider changes in the rural economy – the decline in lace making, enclosure, the agricultural revolution and depression, diversification into market gardening the coming of the railways (Willington had its own station from 1903). 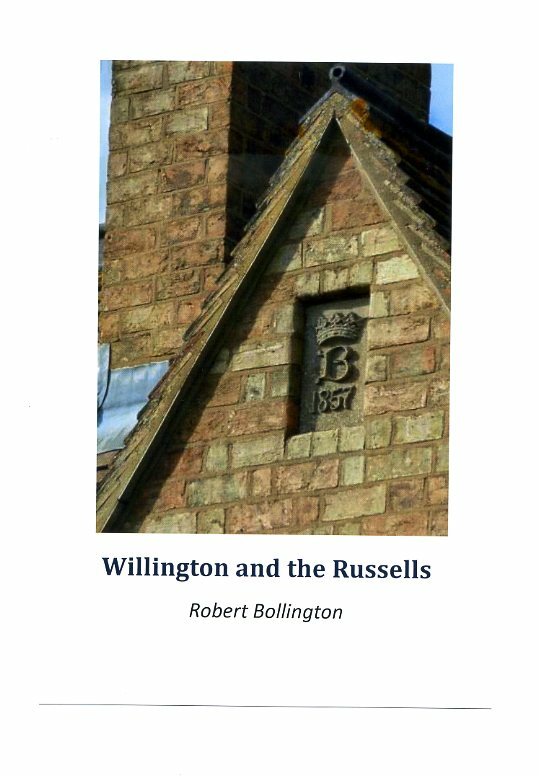 Willington was a classic “estate village”, and the booklet charts the initial purchase of the estate, the role of the Dukes and their agents in modernising agriculture, as well improvements to the parish Church, housing and education. In 1902 Herbrand, the eleventh Duke of Bedford, decided to sell his lands in Willington and Cople to George and Arthur James Keeble of Peterborough, developers. The Keebles specultive land developments changed the face of the village and its econmy – lobbying successfully for a railway station, releasing land for nurseries and market gardening, as well as housing. Taken together, these booklets provide an excellent account of Willington’s development before the First World War, and – being pocket-sized – would be the ideal accompaniment on a stroll around the village. Well worth buying – both for their content and to support the work of Willington Local History Group.